Hi, everyone. I don't know if this has come up in this thread before (a search didn't yield anything), but I have a dilemma that's been bugging me for a few months. I recently bought a 49-inch Sony 4k TV and a Sony 4K player. I mainly watch blu-rays and the occasional 4K disc on it, and after much fiddling with both the TV (which I understand to be 120hz) and the player, I still can't quite get rid of a blur that occurs whenever there's a quick horizontal movement, either by the camera or within the frame. I've looked online for the ideal settings for my equipment and adjusted accordingly, and it still hasn't really helped. Does anyone know if I'm missing a step that isn't widely known online? Thanks in advance. I'm thinking of getting a 4k TV...but, I want one that is also 3D-compatible. IT's my understanding that the last 3D models were produced in 2017, so I'm thinking of buying a TV used. I've come across someone selling s Philips 58" 4k 3D TV for an OK price (Philips 58PUS6809). From what I understand the selection of apps isn't much, and the menu navigation so-so, but that doesn't bother me much, as I'll mostly use it for movies. I've come across a review on amazon suggesting there's "a serious lag when using a gaming console" (I'm not a gamer), and another review stating that "the image processing isn't very good, with a bit of lagging, uneven movements and poor upscaling of low-resolution sources" (translated from Norwegian ). Is anyone here familiar with this TV? Would you recommend it? Any help would be much appreciated. Looking for some in-home networking advice. For a few months I've kept a little USB with some music plugged in to my home router (DLINK brand). I figured I'd upgrade, get a huge external HD, and upload a ton of music onto it, having the house networked. However, the WD passport 4 TB I have is not being read by my network. I've tried three separate formats: default (NTFS), Ex-Fat, and FAT32 (I would like to be able to upload music from a mac and a pc onto this drive). The only reason I have left that explains why it isn't working is a page in the Router Manual that says there's a 1TB limit for external HD devices, but it doesn't seem to be reading my wife's external HD either. Why would a thumb drive work and none of these other devices? Anybody have experience with this? I think this has to be a flash drive. I just uncovered the official manual (I was just generally looking at manuals for the brand) and it appears to mention "USB Flash Drive" repeatedly, not just a general hard drive. Do you have some kind of set-up? Do you have a library you can access through a player? I would ideally like to set up a network but have never had luck figuring this thing out. After using projectors exclusively for 20 years, I'm giving up on them (due to repeated problems like poor colour uniformity and lamp flicker) and looking to buy a TV again - though it won't be used with any kind of broadcast TV input. As some of my priorities seem strange on technical forums, I wonder if anyone here could make a general or particular recommendation (or warning) please? I hardly ever watch modern films, have no interest in 4K - though I acknowledge TVs now seem to be all 4K or "4K ready" - and probably two-thirds of my viewing is in black & white. My ideal TV would have: excellent colour uniformity with no light leakage or discolouration on black & white (maybe the last is a given with TVs now? ); deep, inky black levels; smooth but film-like motion; the best possible reproduction from DVD sources (still 75%+ of my viewing). Were it not for that last but important requirement, my initial research suggests an OLED TV would be the best but I've read they are very intolerant of DVDs and even imperfect Blu-rays, rendering them blocky and looking worse than on less sophisticated displays. (Maybe that's true with all 4K screens?) But then the LCD/LED system is reportedly prone to motion issues and milky blacks. I would suggest for starters to avoid Edge LED and LCD from your researches. Both these techs are the most prone to light leakage and/or clouding. They're also not the best for black levels. Upscaling might be very variable, but this is something you might want to let your player do instead of your TV, so it shouldn't be a priority here. I would still suggest OLED because it currently is the best tech around for TV. Yes, this means it will highlight imperfect BDs, but I wouldn't want to pick a lesser TV just because of lesser BDs. It would seem like a double penalty to me. I however don't know how they behave with DVD upscale (which, to me, might be the biggest concern, because you're likely to end up upscaling SD to 4K, which still seems like a stretch to me even if I've been repeatedly told that upscaling algorithms improved with 4K), and that might be related to the higher rez rather than the TV underlying tech. In any case, I wouldn't rule out OLED since it would tick your cases for clouding, light leakages, black levels and film-like motion. And of course, maybe that's the time to switch to BD. My ideal TV would have: excellent colour uniformity with no light leakage or discolouration on black & white (maybe the last is a given with TVs now? ); deep, inky black levels; smooth but film-like motion; the best possible reproduction from DVD sources (still 75%+ of my viewing). Especially given the last part, you're describing a CRT. Seriously. But in terms of what's available now, get the smallest OLED you can find (55") and sit as far back as possible from it when watching DVD. Yes, I still have a small CRT (the system I grew up with) and agree. Perhaps I need to source a bigger second-hand CRT and run it in tandem with an OLED. Strongly agree on the OLED recommendation, especially for color range and true blacks. In my amateur experience, your mileage on DVD upscaling will vary more based on the disc player than the television. Thanks again. I've read OLEDs are susceptible to screen burn, like plasmas. Channel logos won't be a problem for me (as no broadcast feed) but could many hours of watching only Academy ratio - or indeed Scope - films cause this issue? I did get burn-in of vertical black bar lines on one of my (LCD) projectors though fortunately it was reversible. Because of their technology, OLED screens are indeed subject to possible burn-in just like plasma ones were. However, from what I read so far, it remains reversible and more importantly it takes much more time to generate the burn in in the first place. ...and more importantly it takes much more time to generate the burn in in the first place. That’s been my experience. I used to get a temporary ghosting effect of a graphic or academy/letterbox lines on the plasma I had prior to this OLED after only an hour or so, though I never suffered any permanent burn-in. With the OLED, I’ve watched eight hours of football on a channel with consistent, static logos and tickers and never seen any hint of an after-effect. I love my LG OLED. Has measurably improved my home viewing experience since getting it a year ago. I believe David M. has recommended a specific LG OLED model either here or on another board -- David, would you remind us which one? A component input would be nice as (contrary to usual reports) I always found DVDs looked better on my last HD projector when sourced from a DVD player, rather than upscaled through the BD/HDMI connection. While most projectors can display multiple resolutions, consumer TV’s these days only display one (their native 1080 or 2160), so you’re unlikely to see an improvement using a lower resolution source player. As other’s have noted, you’re best to let the player do the upscaling. I have an odd issue that maybe someone can help with. The blu-ray player in our bedroom (and older Samsung) has been doing a weird thing lately where it randomly compresses the image to 1.33 aspect ratio, even though its connected to a widescreen tv (Insignia). Nothing I change in either the TV or player setting menus will fix it. But if I turn it all off for a few minutes, then restart it, it’s all fine again. Then the next night, the whole process starts over again. The first thing I'd try after what you did is to unplug the hdmi cables at both ends and replug them. Might have come loose. Next thing would be to unplug power for the tv and player and let them sit a while before plugging them back in. If you have another player see if it works okay with the tv. If you have another tv, see if it works ok with the Samsung. Otherwise, could be anything, depending on age of the components, could just be one of them starting to fail. I have a much older TV (LCD projection, which I once had a friend who worked at Samsung try to tell me didn't even exist!). If I were to turn my old school PS3 (first gen) on and off without turning on the TV, or vice versa, the connection would get "broken" (I'd just see colorful static) until I unplugged the HDMI cable and plugged it back in (even after successive restarts, etc). I started to *suspect* I may have been using an HDMI cable that was newer than the protocol that the PS3 supported (and/or the TV), and that's why it was happening, but I don't know, and I never bothered to get another cable to find out. Anyway, my point is that I'd go with fdm's advice as well and start with the HDMI cables. Oh and if there's more than one HDMI input or output, try switching to a different one, maybe one of them will work better. What are people experiences with OLED TVs and black & white films? 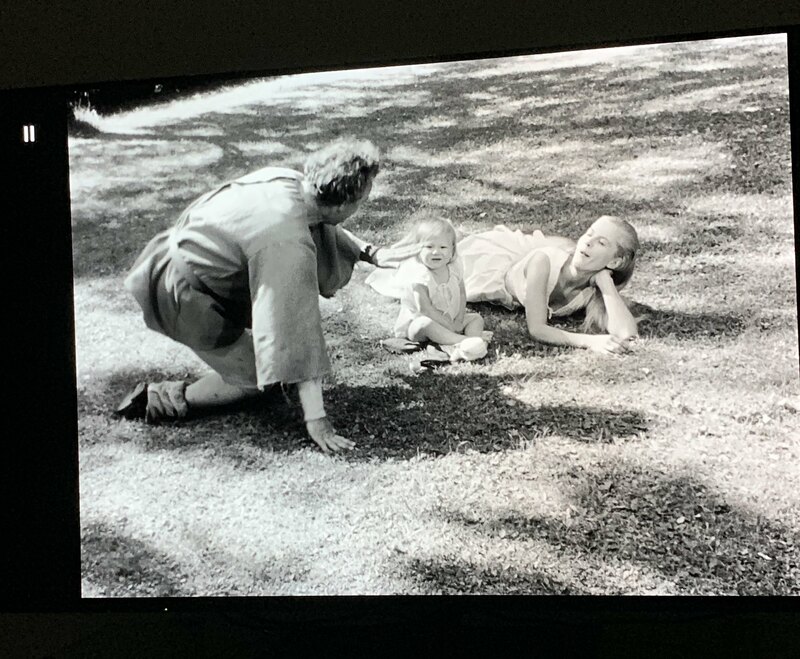 I’m just about to return my second 65” Panasonic OLED in the last 4 weeks due to awful colour tinting that’s easily visible when watching black & white films. On both of the screens I’ve had one half of the screen has had a pink tinge and the other half a much cooler blue. It’s obviously down to the filter on the front of the screen as the tinting shifts when moving seats (although it’s got to be said that I’m only moving from side to side of a small two seat sofa that’s directly in front of the television). Have I just been unlucky and perhaps got a couple from a bad batch or is this normal? I understand that OLEDs often have a small amount of tinting but surely not to this extent? ^ I don't know whether it's normal for OLEDs but that poor colour uniformity - pink/blue dichotomy especially obvious on b/w - is exactly the problem I had with my Epson LCD projectors (except it looked as bad wherever I sat). After three replacements and being assured by the supplier it was normal for a £1,000 LCD projector I gave up and - following the recommendations received above - I was about to buy an OLED TV. Now I'm hesitant! I presume this is an LED- & LCD-specific problem? Never seen anything like this before. Have just arranged with the dealer to open up an LG 65C8 in the store later this week once they can get one in stock and let me spend a bit of time with it to ensure that I’m happy before having it delivered. I’ll let you know my findings then. I’d prefer to stick with Panasonic but I’ve lost quite a lot of faith in them since the dealer sent off the picture above to Panasonic in order to get an uplift number for the return and they replied saying it looked okay to them. This is a screen that cost £3500 when it was first launched 6 months ago and which they advertise as being used within lots of Hollywood Studios as client reference monitors. They insisted I get a local authorised repair centre to take a look in my house before they’d even accept it back. Thankfully they came out and agreed it was awful. The annoying this is that this is a replacement for 6 year old 65” Panasonic Plasma that I had no issues with at all until it recently developed a very very slight inch wide dark band down the right hand side that I could rarely if ever notice. I’d go back to the plasma in a heartbeat and spend the money on disks if I’d not given it away to friend already. My experience of OLEDs so far is that they’re by far the best screens I’ve ever owned for colour content but the worst screens by far I’ve ever owned for black & white. Hopefully the LG later this week will prove that I’ve just been unlucky up now. If not then I don’t know what I’m going to do.